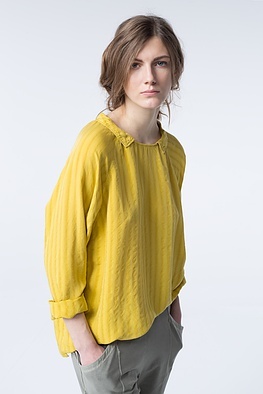 This ISCHIKO blouse sets a wonderful contrast to the masculine trousers shapes of the current collection. 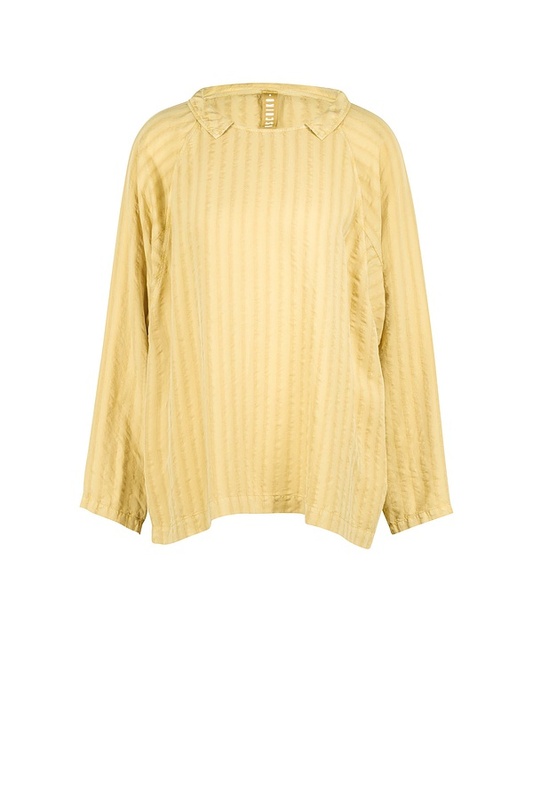 Playful details, like its small collar, signal femininity. This brings excitement to your outfit and at the same time, makes your look attractively soft. 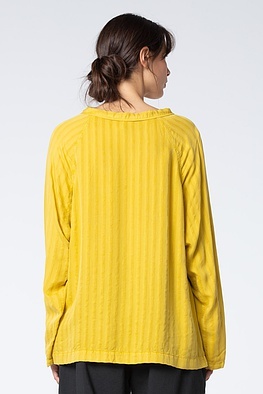 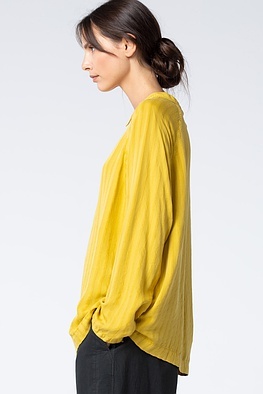 This blouse remains casual-looking thanks to its relaxed width and comfortable raglan sleeves.